I love traveling, and one of my dreams is to be able to live in different places and move around throughout the year. Perhaps living in our Austin home base for 6 months and then a small town by the beach in Europe for the other 6. I’ve been giving this nomadic lifestyle a lot of thought and have been trying to figure out what this would mean for me. Going to a new country was one of my resolutions for 2018. I was able to schedule in a 9 day road trip through Morocco at the very end of the year, right before Christmas. 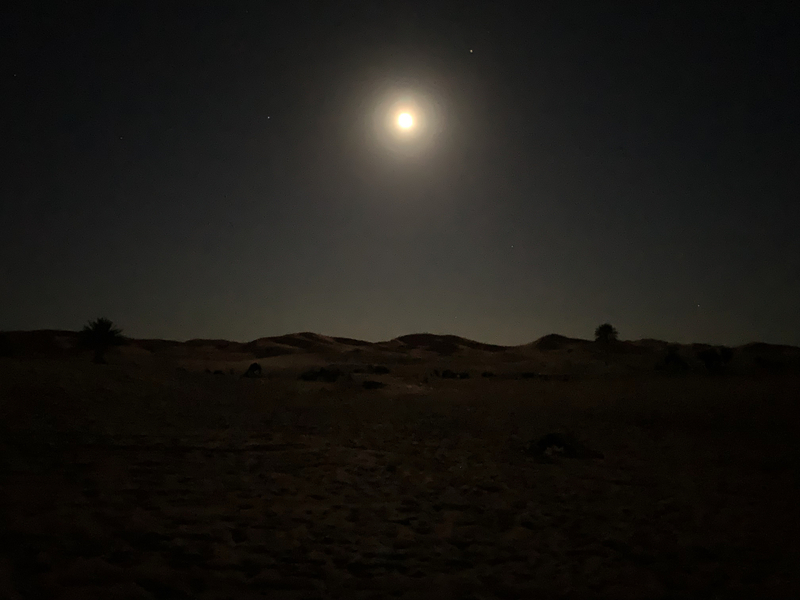 We flew in to Marrakech, and then drove through Casablanca, Rabat, Meknes, Fez and then South to the Merzouga desert where we met someone really interesting. Addel was a real Nomad. I remember reading about nomads in elementary school, but didn’t think many were still living this life. Addel grew up south of the Sahara desert with his family where they would herd goats for a living. Herding is still a very popular way of life for the Berber people indigenous to North Africa. Their goats graze away the grass and land as they move from place to place. He explains how they would sleep each night when the sun went down. “We carry our tents and food with us.” Once a week, Addel would go into town and try to trade a goat for money. With this money, the family is able to then buy bread, spices, oil and other goods such as soap and clothing. 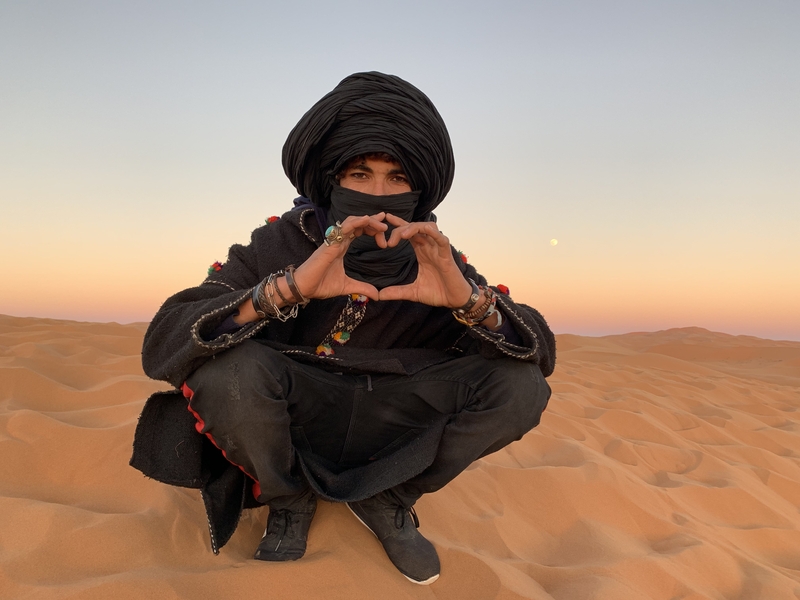 Addel has since settled down in Merzouga, where he now works as a camel guide for tourists. Tourism is the largest source of income in Merzouga. 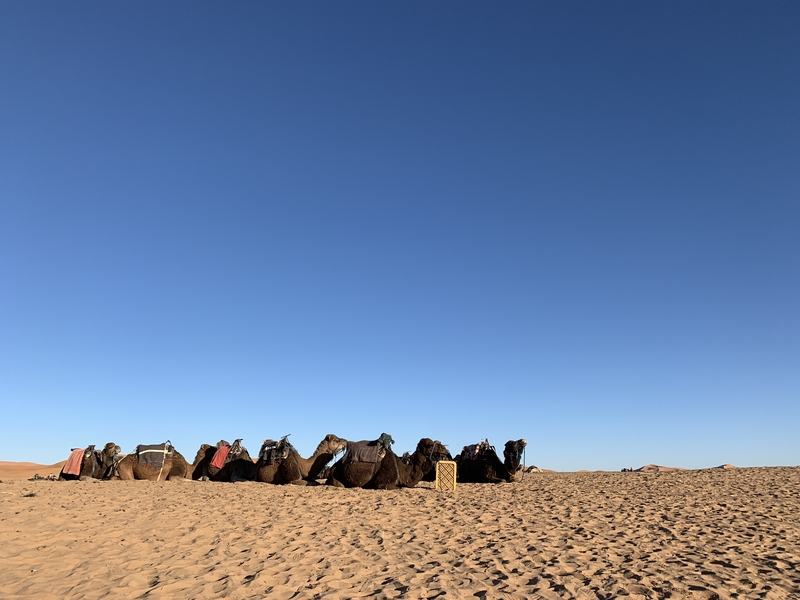 We had seen a large group of Chinese tourists riding their camels into the Sahara, and another group of 20 or so were scheduled to come in the next day. “The Chinese are very friendly and happy people. They love to take pictures.” It is now night time and cold outside. 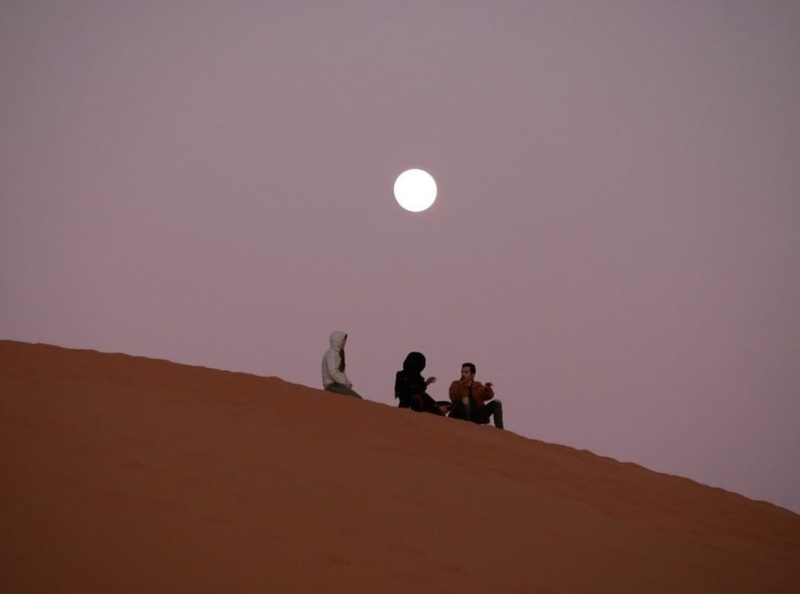 We pull out a blanket and grab a few beers to sit and chat with Addel while gazing at the stars and moonlit dunes. I ask him if he is happier now that he is no longer a nomad and he says he is. He now brings home more money each night where his mother and younger sister are waiting for him. As the night ends, we thank him for a wonderful day and evening chatting and I ask him what his plans are for this Friday night. “Are you going out with your friends, now that it’s the weekend?” “What’s a weekend?” He asks. I really hadn’t thought about it, but then I quickly realized that a 5 day work week is only a concept we’ve recently come up with as a modern society. “I work when there’s work” he says. It’s funny how I’d never given much thought to our 9 to 5, 5 days a week work schedule. I took it as something normal, a concept everyone was familiar with. Life isn’t the same way it is for me as it is for everyone else. Although a simple idea, this lesson hit me hard and left me thinking. Life is what you make of it, there are no rules. I’ll be working through this new year with a much more open mind and trying to figure out what kind of lifestyle I want to live and what it will mean for me. Thanks Addel for a great end of year lesson. Here’s to more in 2019!